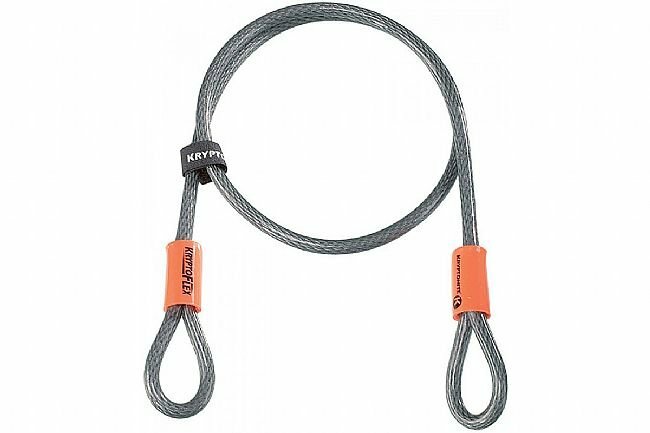 The Kryptonite KryptoFlex Cable 1004 provides added security to a U-Lock setup. Looped at both ends, this 4 foot cable easily secures wheels or other components that are out of reach of the average U-Lock. Construction from braided steel, the 10mm diameter cable is vinyl coated to protect the finish of frames, wheels, or forks without affecting the security potential.